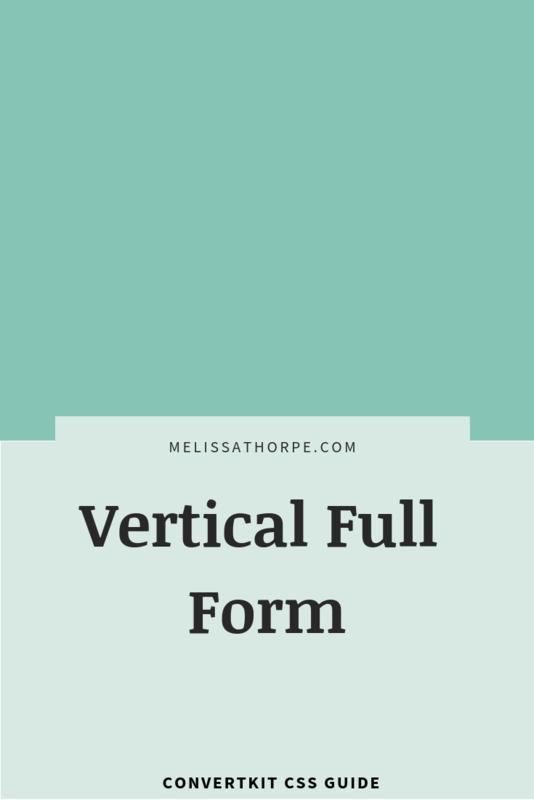 Many ConvertKit users find adding the first name field to the minimal form cumbersome, so I’ve come up with an easy workaround. All it requires is some custom CSS code for the full form which makes it a vertical form. You can then customize the form the same way you normally would. Note: I added the image in the description, NOT the image box provided. You’ll add this code within your ConvertKit form, under Settings –> Style –> Custom CSS. Note: This code switches the fields and button to be vertical on smaller screens. I hope you’ve found this helpful. Let me know in the comments if there are any other CSS Guides you’d like to see! Is there any way to add more space between the fields and the edge of the form?